The biggest commitment of the “weekend” actually came early as Auburn landed 2018 F E.J. Montgomery of Wheeler HS (GA) on Thursday. 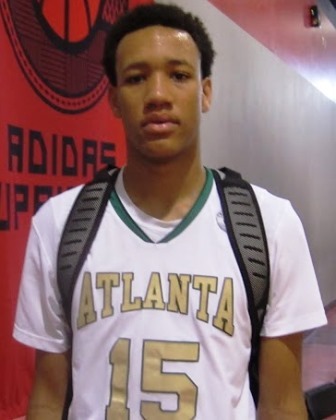 The skilled and highly regarded talent plays with the Atlanta Celtics during the grassroots travel season. Thursday wasn’t just a big day for Auburn as Virginia Tech struck thrice with commitments from 2019 C B.J. Mack of Charlotte Christian (NC), 2019 SG Keyshaun Langley of Southwest Guilford HS (NC), and 2019 PG Kobe Langley of Southwest Guilford HS (NC). Mack played for Team United while the twins played for CP3 during the grassroots travel season. Also striking before the weekend began was Texas Tech as the Red Raiders secured a verbal commitment from 2017 SG Jarrett Culver of Coronado (TX). He played with the Pro Skills program during the grassroots travel season. 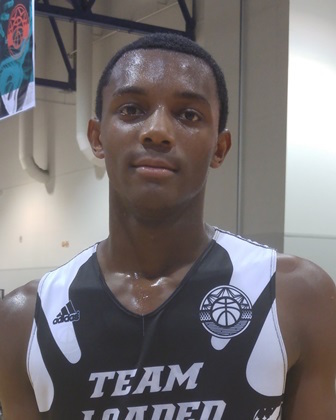 Clemson landed a solid 2017 commitment as PF Aamir Simms of the Blue Ridge School (VA) verbally committed to the Tigers on Thursday. He played with the Team Loaded program during the grassroots travel season. 2017 PG Parker Stewart of Union City (TN) came off the board on Friday with a verbal commitment to Mississippi. He played with the Team Penny program during the grassroots travel season. Friday also saw USC secure a verbal pledge as 2017 C Victor Uyaelunmo of Calvary Christian Academy (FL) verbally committed to the Trojans. He played with the Nike Team South Beach program during the grassroots travel season. Xavier landed on the recruiting trail Sunday as they secured a verbal pledge from 2017 C Kentrevious Jones of Westside HS (GA). He played with the Atlanta Xpress during the grassroots travel season. VCU struck on the trail Sunday as 2017 PF Sean Mobley of Montverde Academy (FL) verbally committed to Coach Wade and VCU. He played with the Nike Team Florida program during the grassroots travel season. 2017 G/F Christian David of Vermont Academy (VT) came off the board this past weekend as the talented wing committed to Butler. He played with the CIA Bounce program during the grassroots travel season. Vanderbilt struck on the trail Sunday as the Commodores secured a commitment from 2017 C Ejike Obinna of Virginia Academy (VA). He played for the Uncommon Bulls during the grassroots travel season. 2017 PG Tray Buchanan of United Township (IL) verbally committed to North Dakota over the weekend. He played with the Kingdom Hoops program during the grassroots travel season. Also coming off the board last week was 2017 F/C Logan Strom of Norfolk Sr. HS (NE). Strom committed to UC-Davis after playing this past spring and summer with the Omaha Elite. 2018 G Ben Davidson of St. Clair (MI) came off the board late Sunday as he gave a verbal pledge to Ferris State. He played with the Grand Rapids Storm this past spring and summer. Drake bound 2017 PG Teyvion Kirk headlined the 2016 2ND Team All-NY2LA Basketball Association 17U selections announced last week. CLICK HERE TO SEE THE 2ND TEAM ALL-NY2LA BASKETBALL ASSOCIATION 17U SELECTIONS. The 2016 1st Team All-NY2LA Basketball Association Selections for the 16U division were also announced last week. CLICK HERE TO SEE THE 1ST TEAM ALL-NY2LA BASKETBALL ASSOCIATION 16U SELECTIONS.